So it’s been a while huh? I could make excuses but to be honest I just got busy and lazy. I’m finally understanding what it means to be an intern – long days, stressful situations and very little time to do the fun things like baking. I’m not complaining though, I’ve learnt so much already and I’m actually enjoying it which I think has surprised me! When I did get some free time recently I took the opportunity to make dinner and dessert for a fellow intern who had resorted to eating microwaved meals – and this cake was the result. 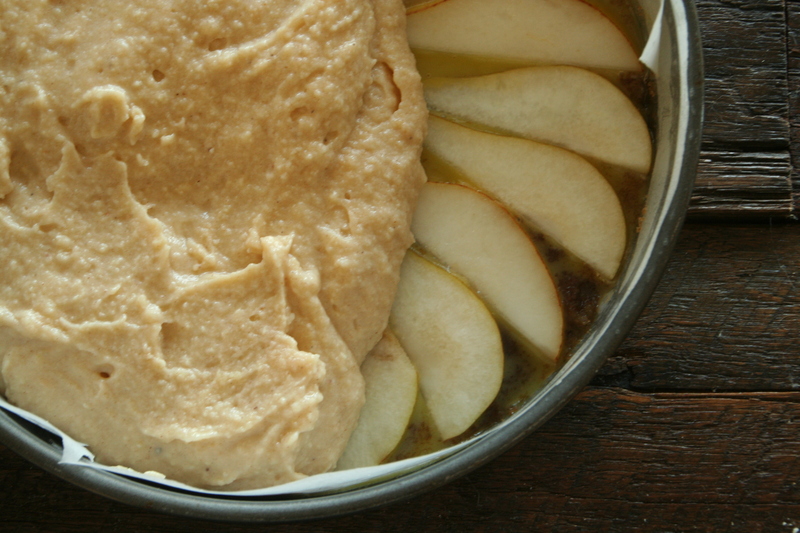 I’ve made this recipe a number of times and keep coming back to it. 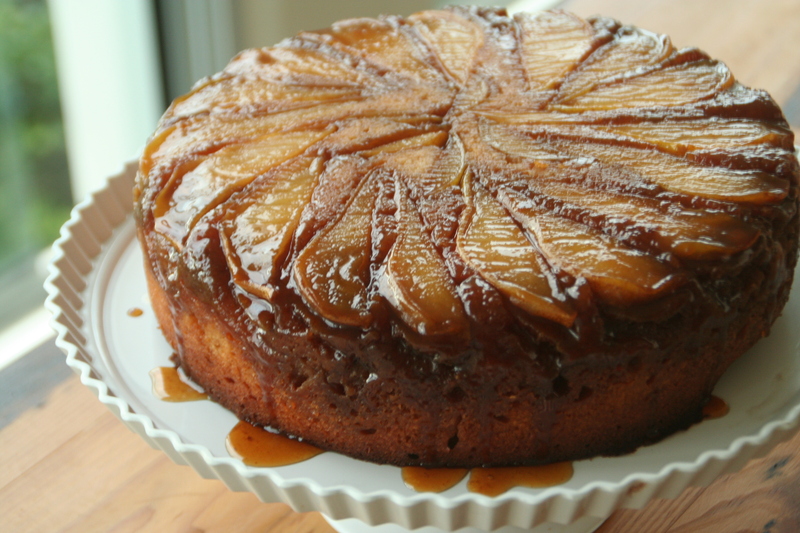 It’s a moist dense cake with sliced pears covered in caramel. Yep, it’s as good as it sounds. 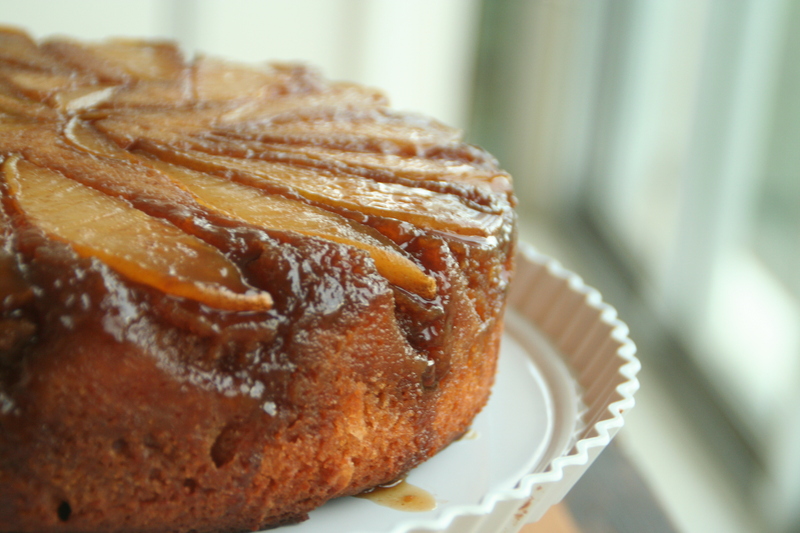 The almond meal and buttermilk make the cake super moist and as there’s a decent amount of caramel topping it sinks into the cake and runs down the sides – does it get better than that? Hopefully this recipe makes up for my long absence. 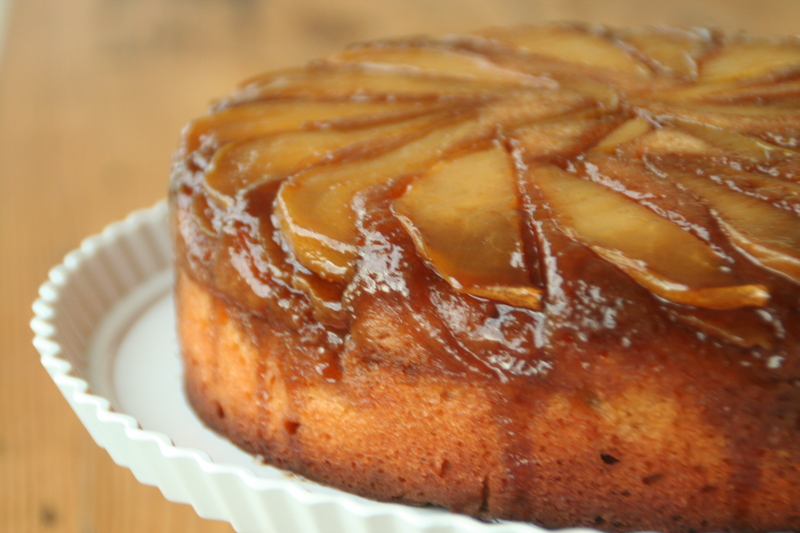 I’d recommend not overfilling your pan as you want the caramel to penetrate deep into the cake. 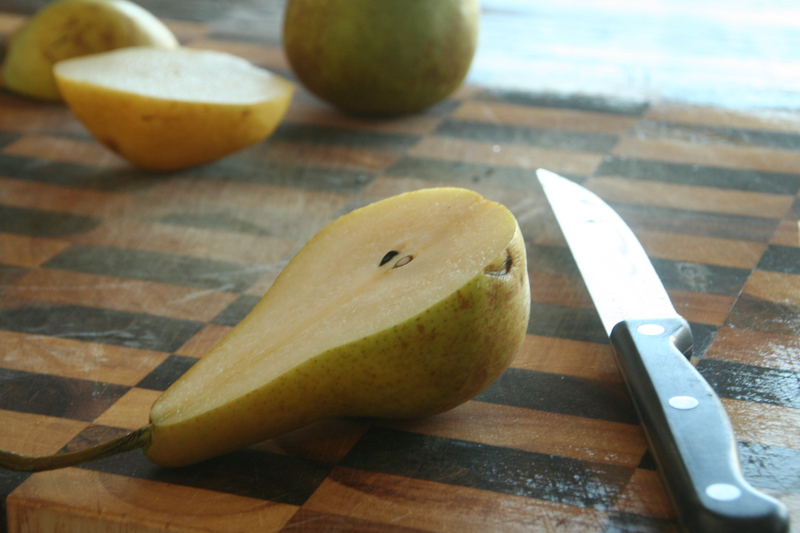 I’d also suggest cutting your pears a bit thicker than I did as they have plenty of time to cook through and this will give you a good flavour and texture. If the cake gets dark too quickly cover it with foil for the rest of the cooking time and make sure you cook it only until just done. Preheat your oven to 180° and prepare your baking tin with baking paper. Pour the brown sugar over the base and top with the melted butter. Use a spoon to ensure all the sugar gets coated. Arrange the pear slices on top. Cream the butter and sugar until light and fluffy. Add the eggs one at a time, beating well with each addition. 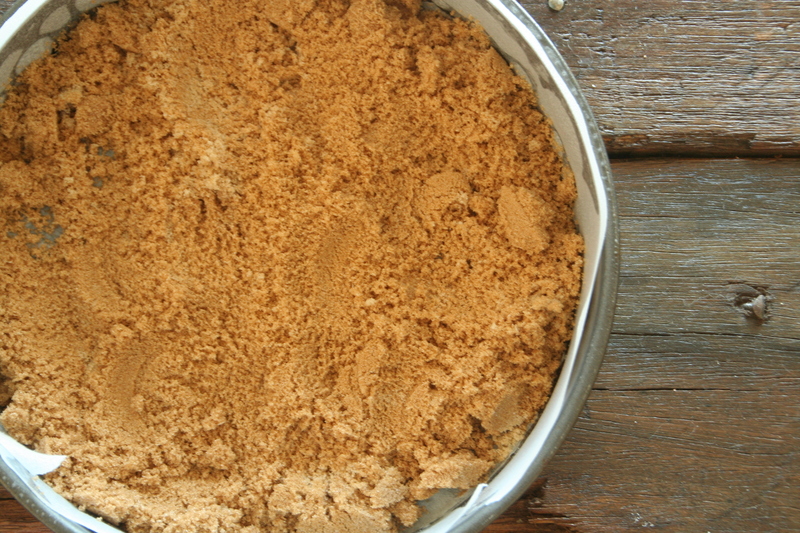 In a separate bowl sift the dry ingredients together then fold into the mixture. Stir through the buttermilk until just combined. Pour over pears and cook for 60 to 80 minutes until just cooked in the center. 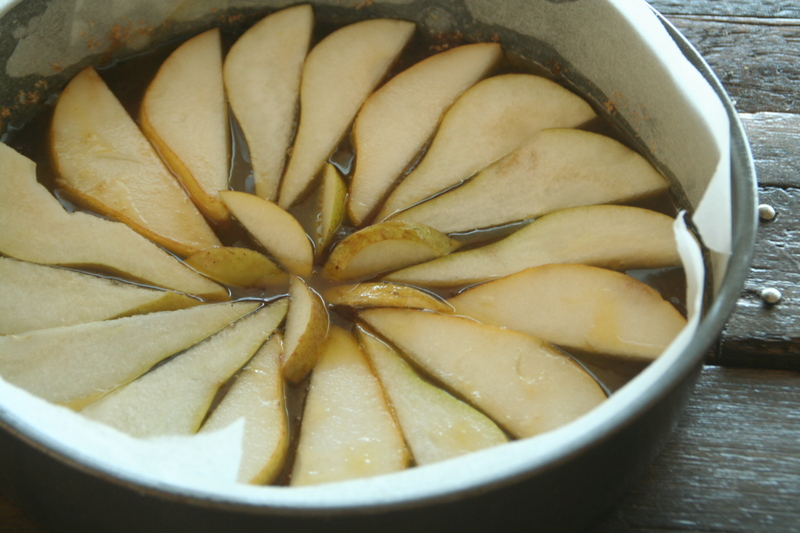 Allow to cool in the pan for 10 minutes before inverting onto a plate. Best served still warm with ice cream. This looks beautiful and delicious! Oooh sounds tasty, and right in time for pear season too. Beautiful looking cake. Must have tasted delicious too! Uhm YUM!!! I love almond cake, it’s my all time favourtie 🙂 Looks Devine. Looks perfect! And I love how you gave a tutorial using photos making it easy to understand how to make this kind of cake. Thanks! This looks delicious. And stunning photographs too! I’m about to make this delicious cake but what size Tin do I use? 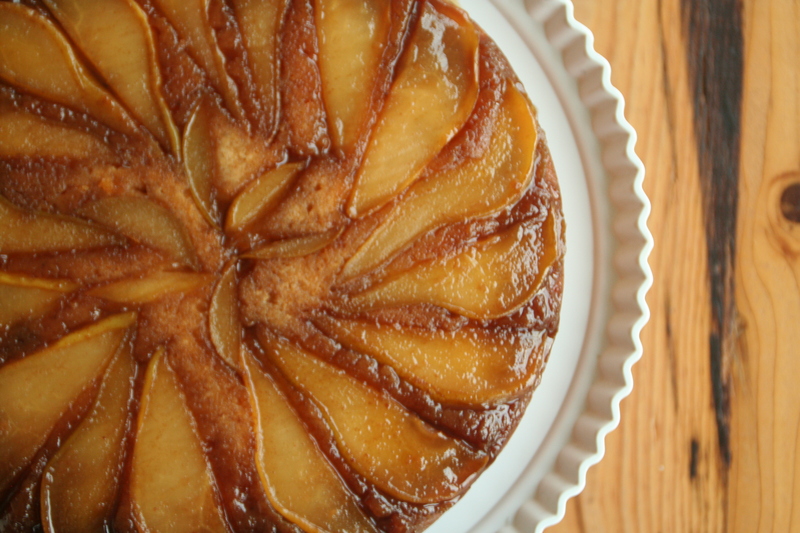 I cooked this last night in a curved glass cake pan, and lined the sides with pears as well as the bottom. All the ingredients were the same but I had no no buttermilk so i used milk with a scoop of natural yoghurt instead. I grated a large piece of ginger into the batter too, and sprinkled some grated ginger onto the layer of pears. cooking time was 80-85 mins. It was very, very tasty!